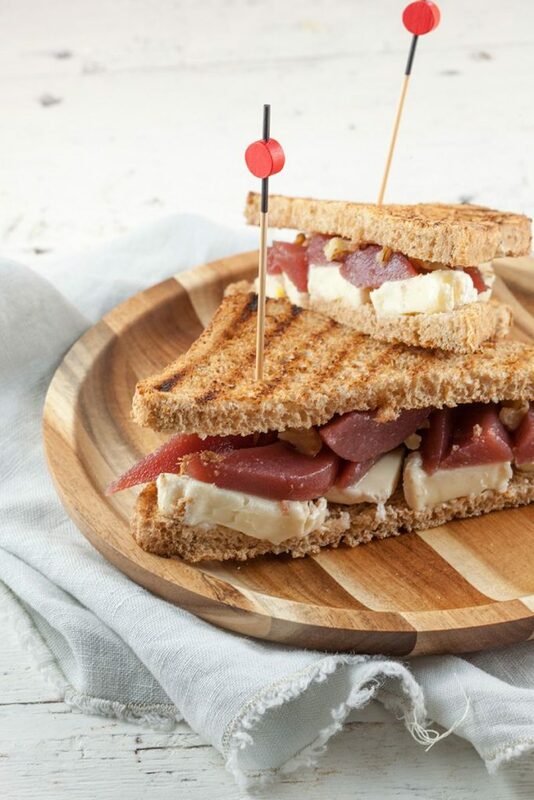 This super easy poached pear sandwich is perfect for a quick lunch. It only takes 5 minutes and it's SO delicious with soft cheese, mmm! 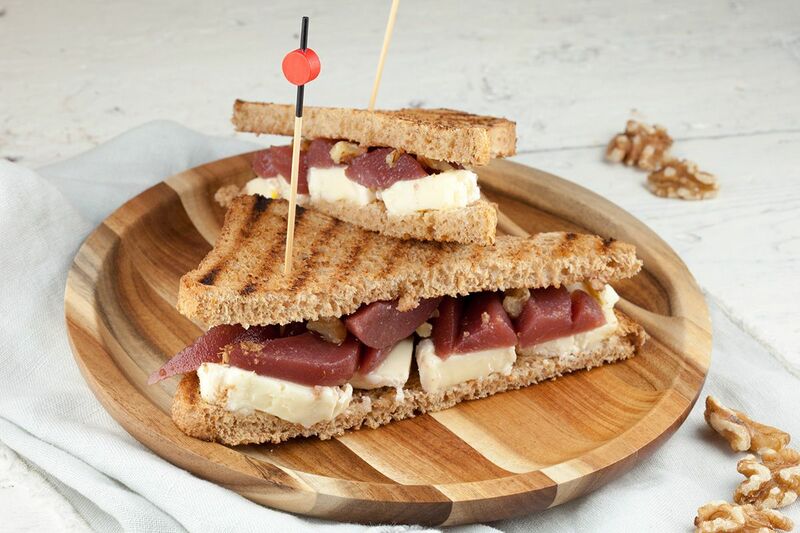 There’s no preparation needed at all for this easy and delicious sandwich. HEAT the grill pan and place the slices of bread onto the grill. Wait until the grill pattern has appeared and turn over the slices. Meanwhile CUT the poached pears into slices and also divide the cheese into slices. 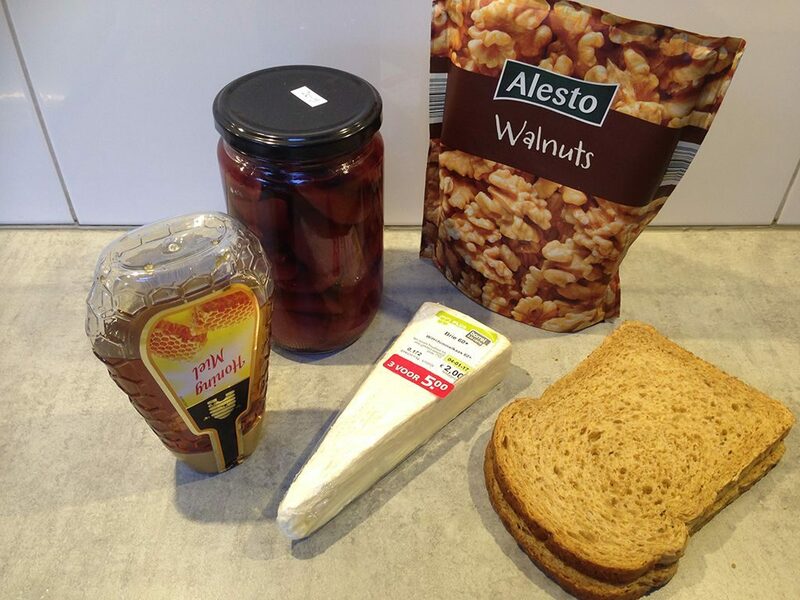 PLACE the brie slices on the warm bread, so it will melt to create an extra delicious sandwich. 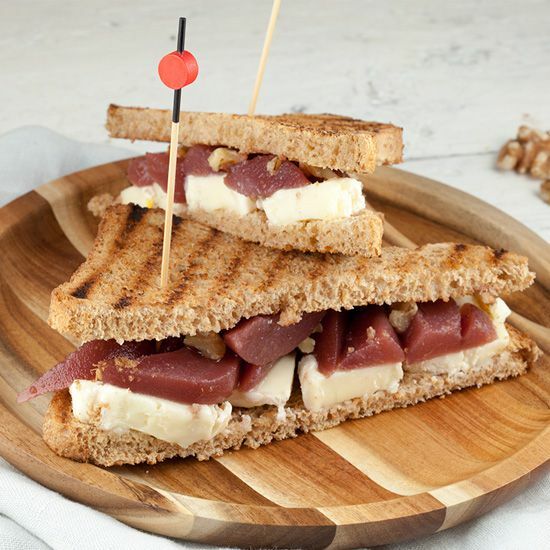 FINISH the sandwich with poached pear slices, a bit of honey and pieces of walnut. Enjoy!